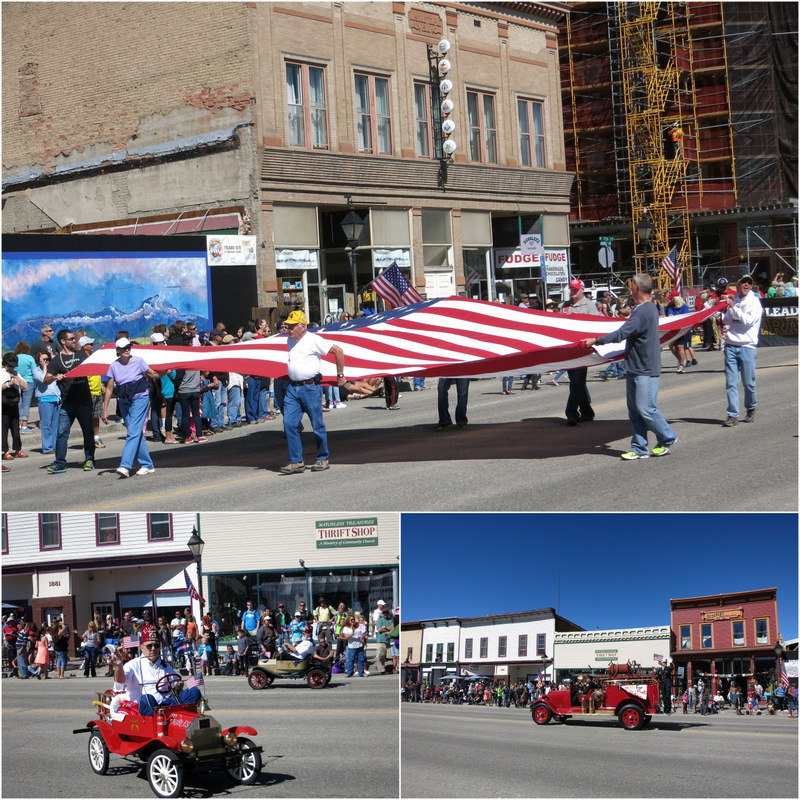 We first learned about the Leadville Boom Days celebration during the 4th of July parade last year. More than one person told us we had to come back in August for Boom Days. So we did. Well, one year later we did. 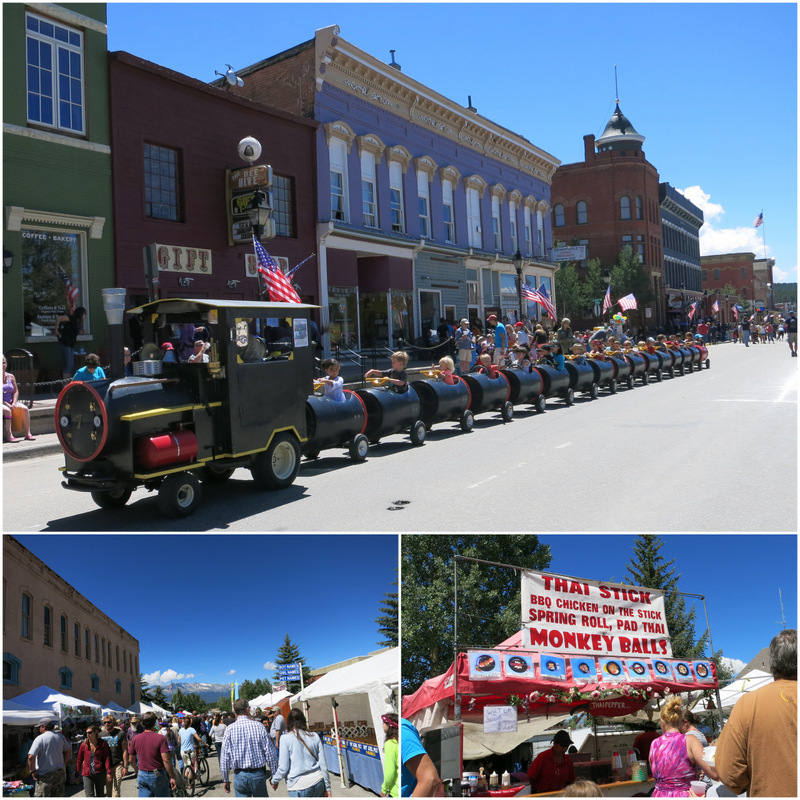 Since we planned to stop in Leadville again this summer anyway, it only made sense to coincide our visit with the celebration. 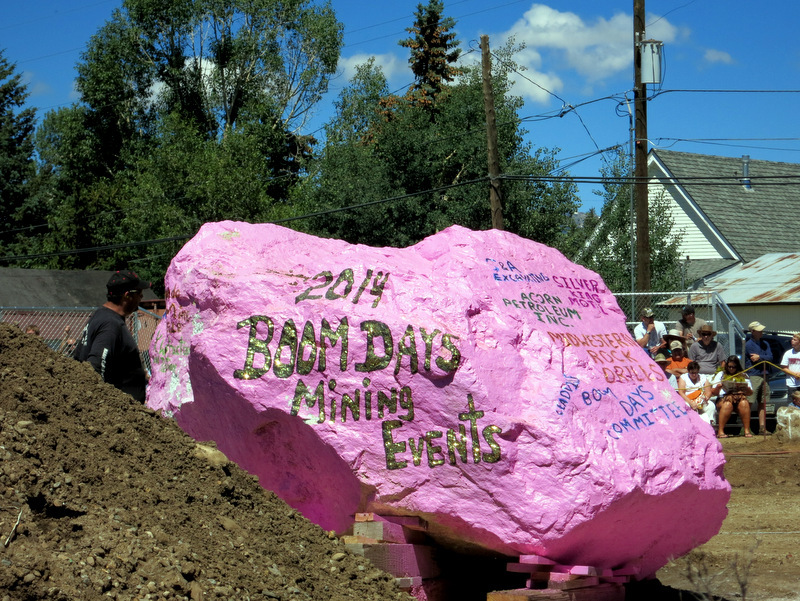 Boom Days has a long history in Leadville. So long that this year marked the 64th Boom Days celebration! 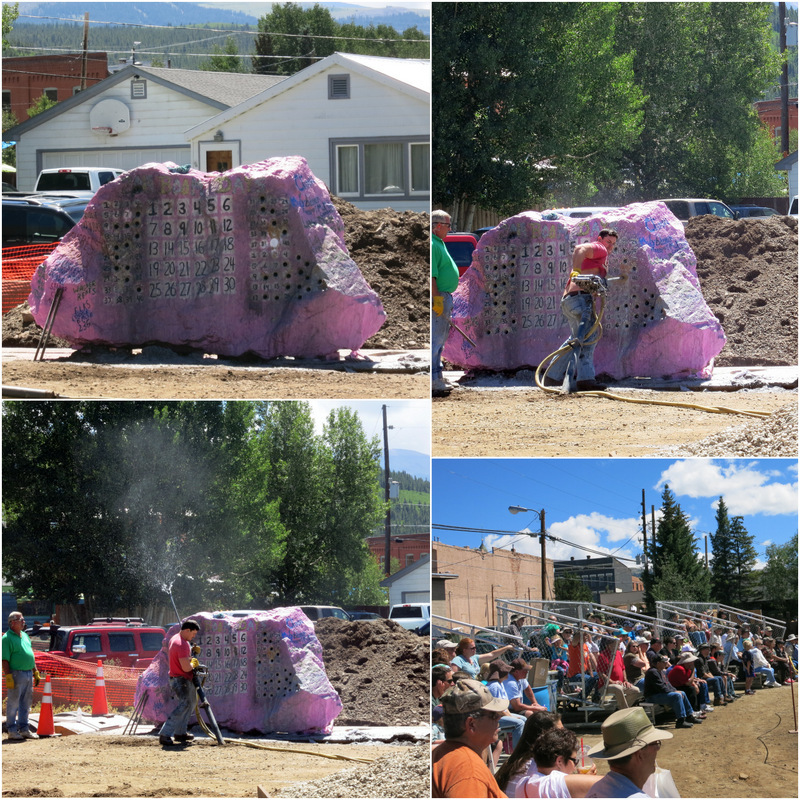 Boom Days is a tribute to the old west and mining history of Leadville. 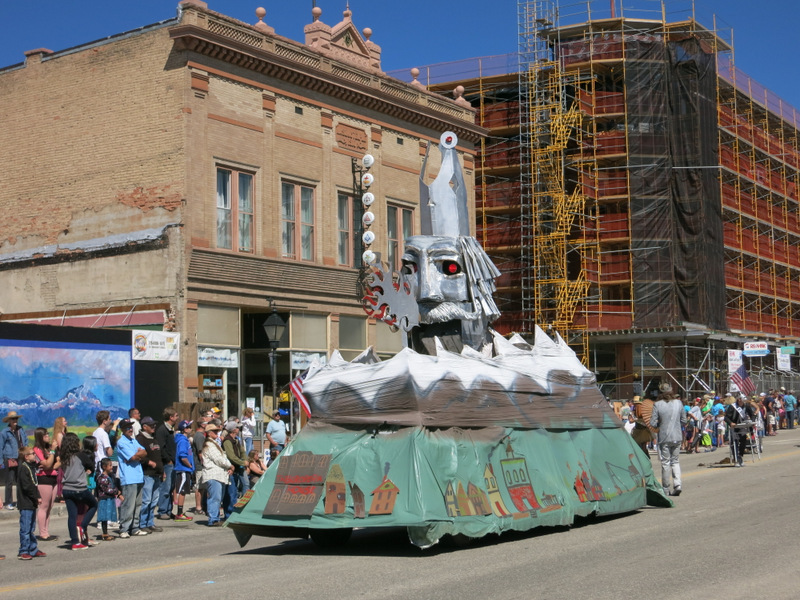 The three day festivities include a parade, burro races, competitive mining events and a street fair. 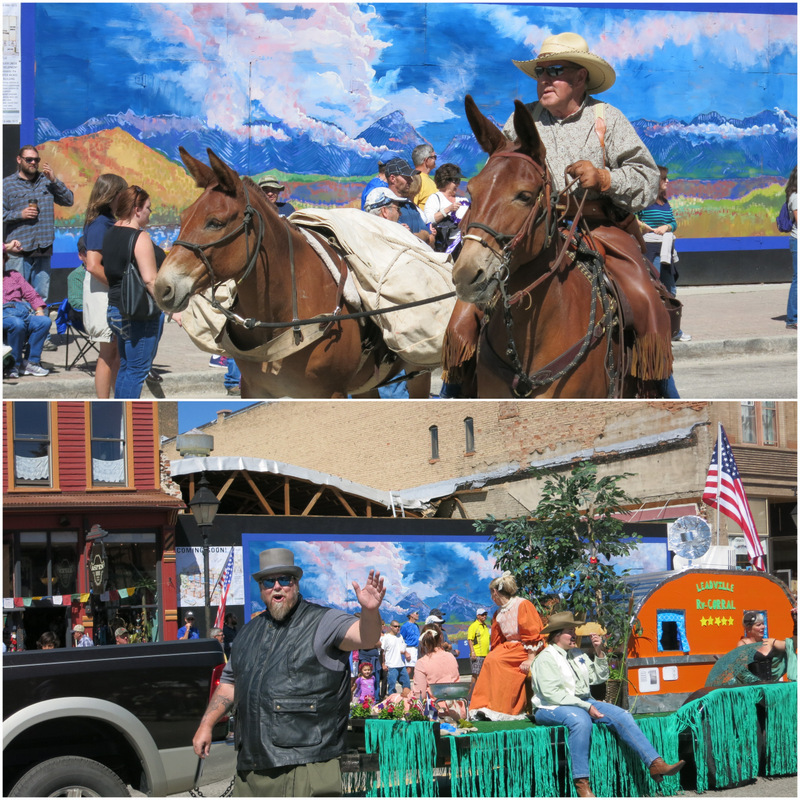 We skipped the Friday night memorial dedication and motorcycle rodeo, and began our Boom Days celebration with the Saturday morning parade. 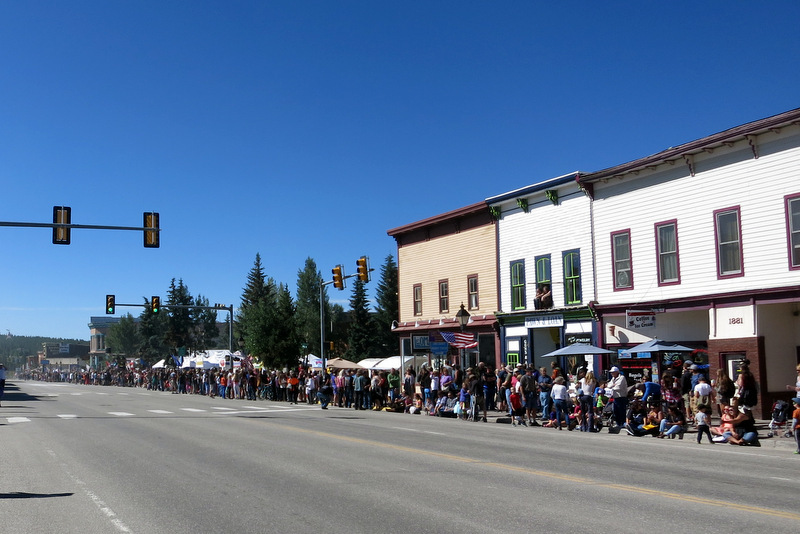 We had been told repeatedly that this parade would blow away the 4th of July parade. Phrases like “10 times better,” and “not even in the same league” were used. So naturally we had high expectations. I guess we should have known better. 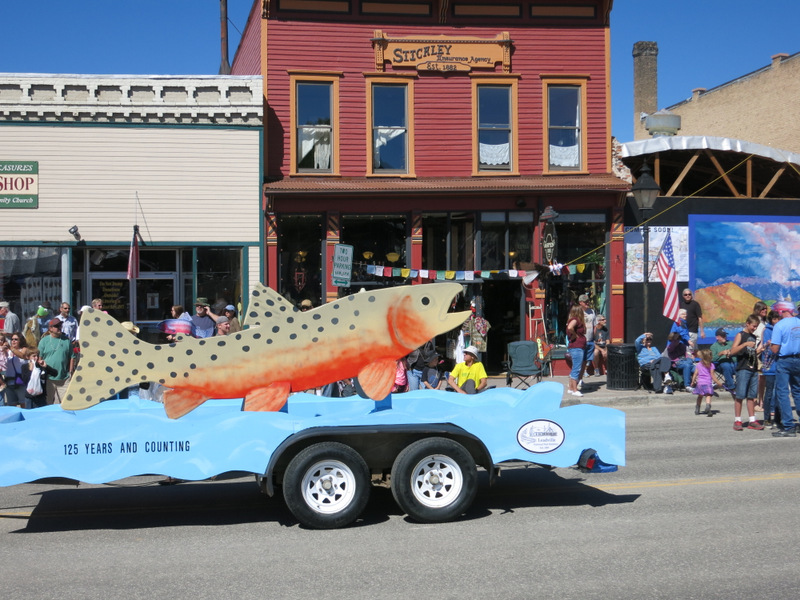 While it was a perfectly fine small town parade, it was really was only maybe 2 times better than the 4th of July, and most definitely in the same league. I expected lots of cool floats and maybe some entertainment, but what we got instead was a handful of creative floats and one or two fun performances mixed in with lots of guys driving old cars, random women dressed as old timey hookers (the theme was Notorious State St.), and lots of company trucks and vans who forgot (?) to decorate for the event. This one business had 5 company trucks in the parade, with not a single balloon, streamer, or decoration of any kind. I am sorry, but this just seems lazy. The jokes on them though, since their entry was soooo boring I don’t even remember what the name of their business was. Despite my complaints, we still had fun, and the parade was an entertaining way to spend an hour and half on a sunny Saturday morning. A handful of the floats were really creative. Our favorite was the one put together by the local fish hatchery. It was a giant wooden fish! 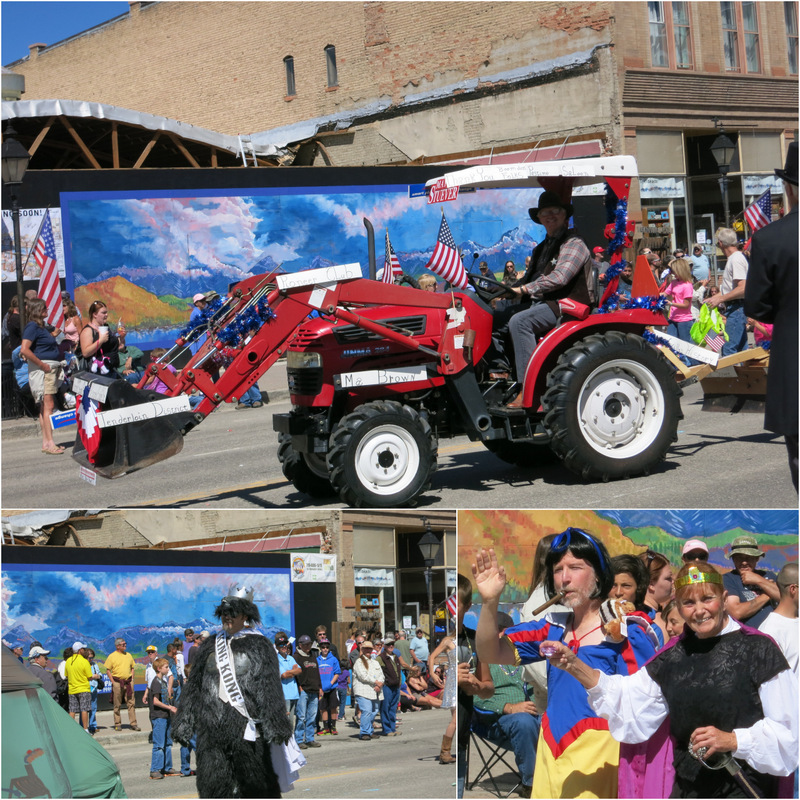 The mayor on a tractor, Snow White with a beard & cigar, and King Kong? See that guy waving in the bottom photo? That’s Sam. The same Sam who invited us to a tie dye party earlier in the week. The RV park where they’re staying in town wanted some help with their float, so Sam & Tracy, along with some other campers, graciously volunteered their time and creativity. Didn’t it come out great? I love the satellite dish and real curtains. I love this guy with his two pack mules, The RV Corral Float. By far the most elaborate float was this giant silver head with a crown. The head “magically” opened and closed its mouth to speak. Mostly it yelled about how silver was the best, and we should all bow to the silver king. 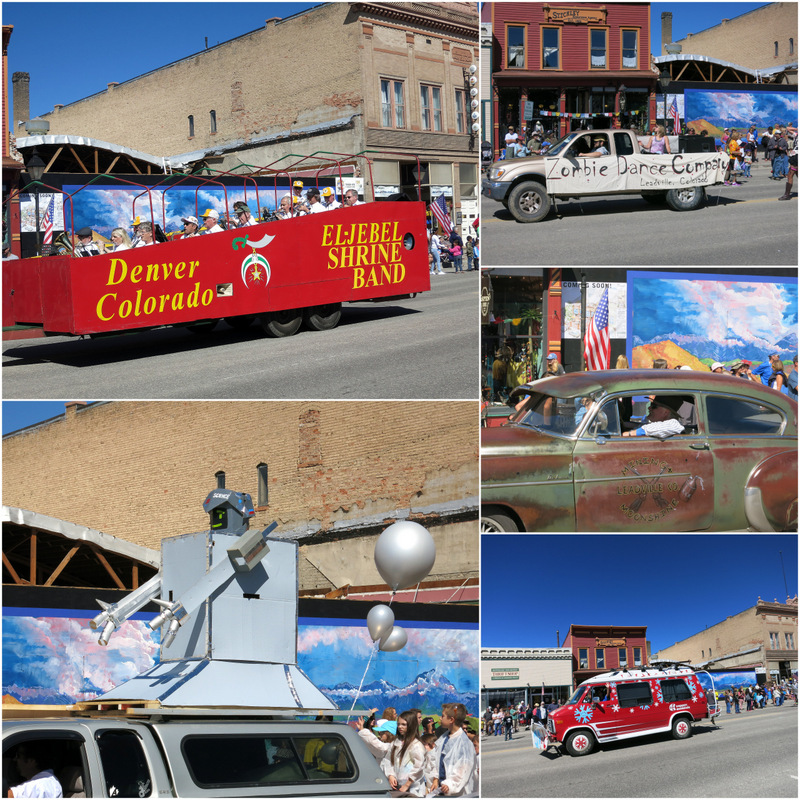 It was a little confusing, but I assume it was a nod to the history of silver mining in Leadville. At one point in time silver was definitely king around these parts. 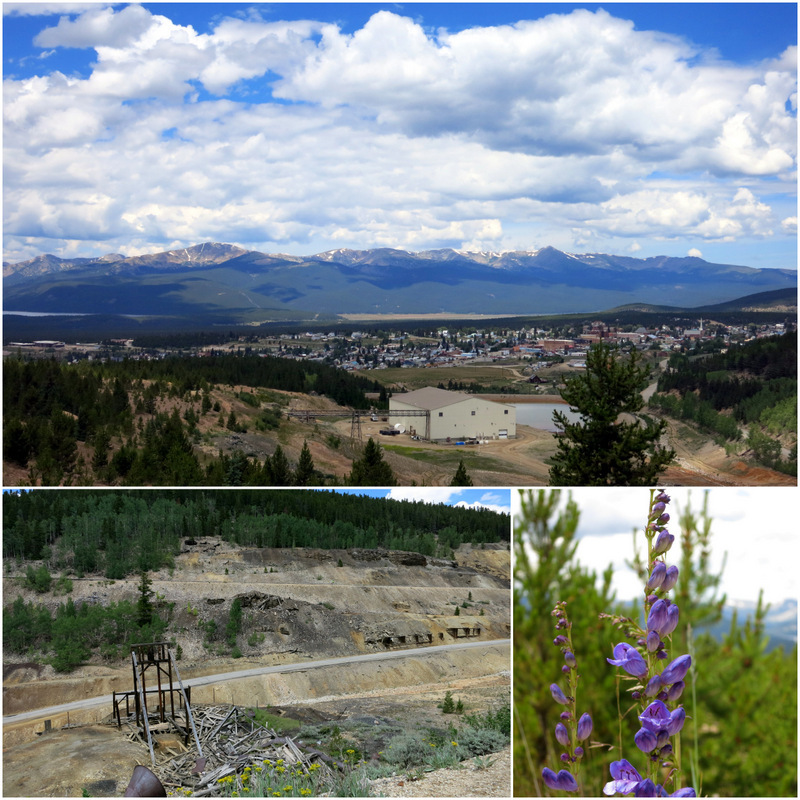 Leadville played a huge role in the Colorado Silver boom, and in the late 1800s was even considered the largest and richest silver town in the world. After the parade we followed the crowd and ended up wandering through an area of tents selling everything from animal hide rugs to personalized airbrushed t-shirts. Needless to say, we came away empty handed. Then we wandered down the street past the food tents and a very popular homemade train ride for kids. We thought four bucks a pop for a 5 minutes ride up and down the street was a bit steep, but judging by the amount of kids waiting to ride this thing, we were in the minority. Next we strolled down to the Elk’s Club to check out the mining events. We arrived during the tail end of the rock drilling competition. Basically these guys had to pick up a 175lb drill shooting high pressure water, line it up with their designated hole, and drill as far and straight as possible in the shortest amount of time. It looked really, really hard. The first guy lost control at one point and struggled to get the drill back in the hole. I was sure it was going to get away from him and fly into the air shooting high pressure water everywhere. We saw these drills both during the mine tour we did in Bisbee, and during our visit to the history museum in Silverton, but until you see them in action it’s hard to appreciate just how difficult this job was. Rock drilling is not for wussies! We could have stuck around for the spike driving competition, but since we finally had a nice day with no rain, we decided to leave Boom Days behind and head to the lake for a bike ride. 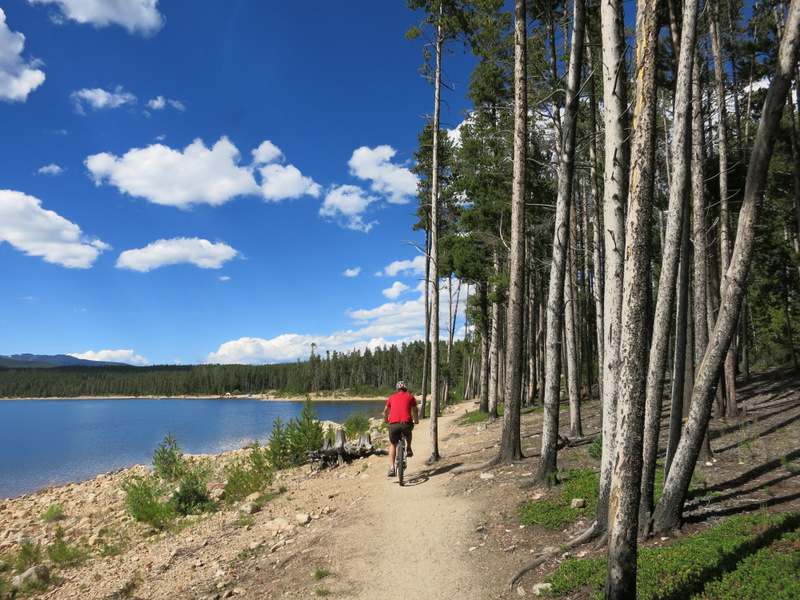 The trail around Turquoise Lake travels 6.5 miles from the dam to the May Queen campground at the far western end of the lake. Most people ride it as an out and back, but since it was late in the day we only made it about 4 miles before turing around. 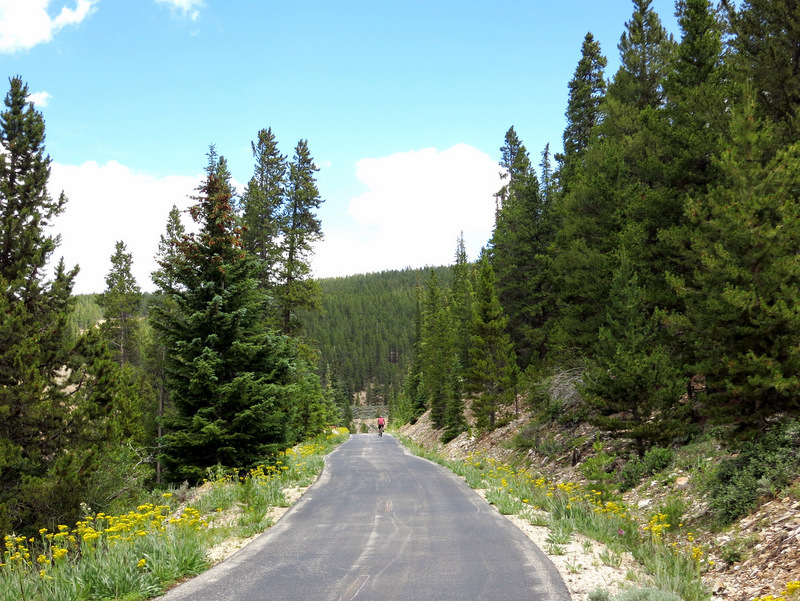 I think this trail ranks up there as one of my favorite mountain bike trails. First of all, there’s the view. From every section of the trial you can see the deep blue lake and mountains beyond. Second, while it had some challenges in the form of rocks and roots, some narrow sections, and a few ups and downs, it wasn’t so challenging that I had to get off and “hike a bike” over and over again. On Sunday the plan was to enjoy more of the Boom Days Celebration before we headed out of town. 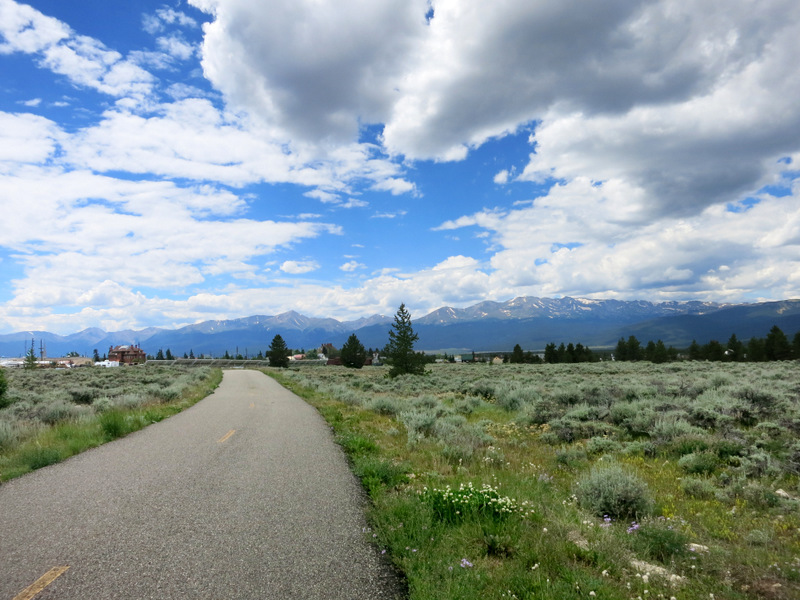 We wanted to see the start of the Burro Races, but once again the sunny weather trumped our plans, and we ended up going for another bike ride instead. 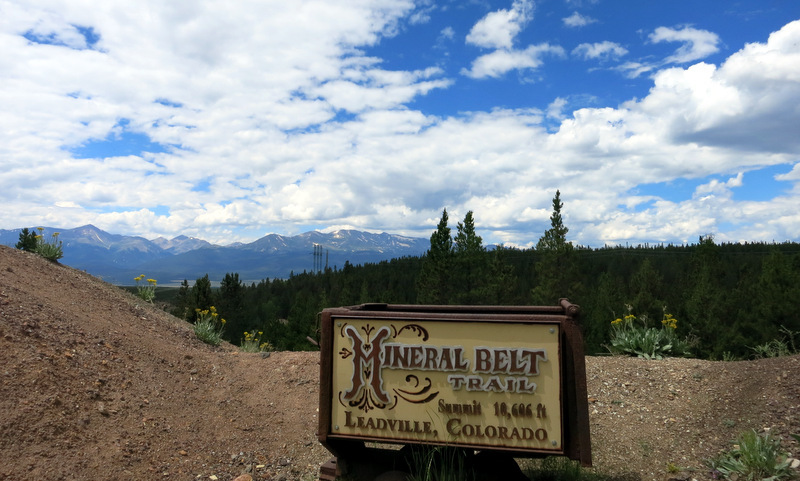 This time we tackled the Mineral Belt Trail. 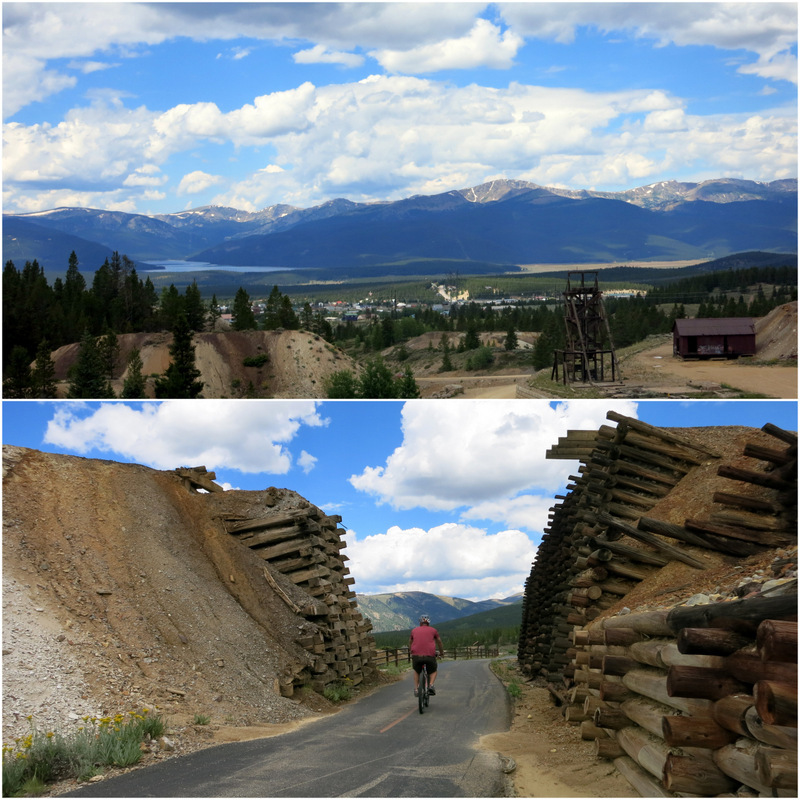 This 11.6 mile paved bike, walk, ski trail travels through town and up into the hills where it passes by 6 miles of Leadville history in the form of old mines and railroad bridges. I read several accounts of the trail beforehand, and thought I read somewhere that if you took the trail counterclockwise is would be 3 miles of up hill, followed by 2.5 miles of level, and than 6 miles of downhill. So we took off in a counterclockwise direction and began climbing. And climbing, and climbing, and climbing, and wait…haven’t we gone 3 miles yet? Around mile 4 it became apparent that there’s something lacking in either my reading or remembering skills because we were definitely on the 6 mile UP side of the trail. So we kept climbing and finally reached the summit at an elevation of 10,606′. Phewww! From there we rode the easy flat section and then rolled the last 3 miles down into town. 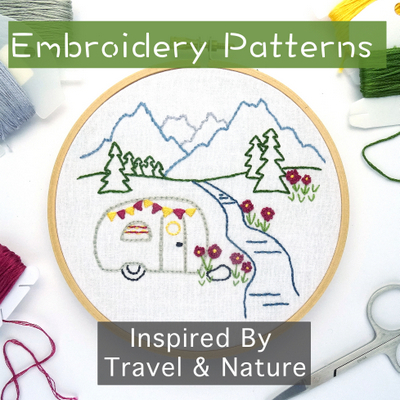 What a trail! 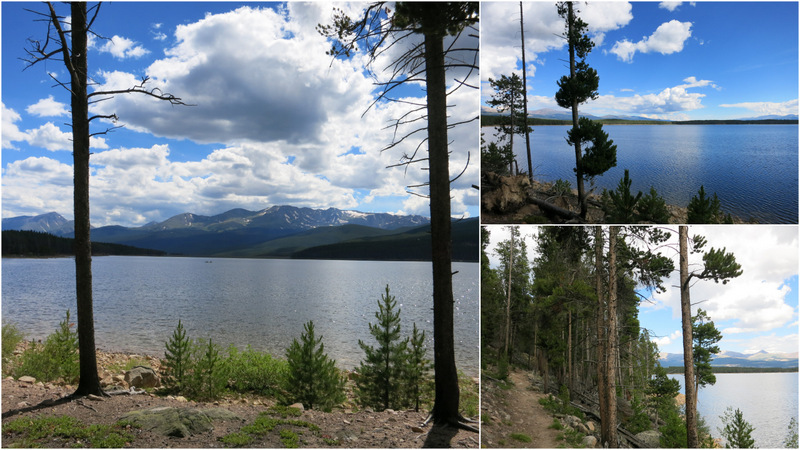 Those 6 miles up hill were difficult (especially given the high altitude around here), but the views at the top were amazing, and we really enjoyed the numerous signs and plaques recounting the history of the area along the trail. All that added up to a very nice weekend, which more than made up for the rain filed week we had. 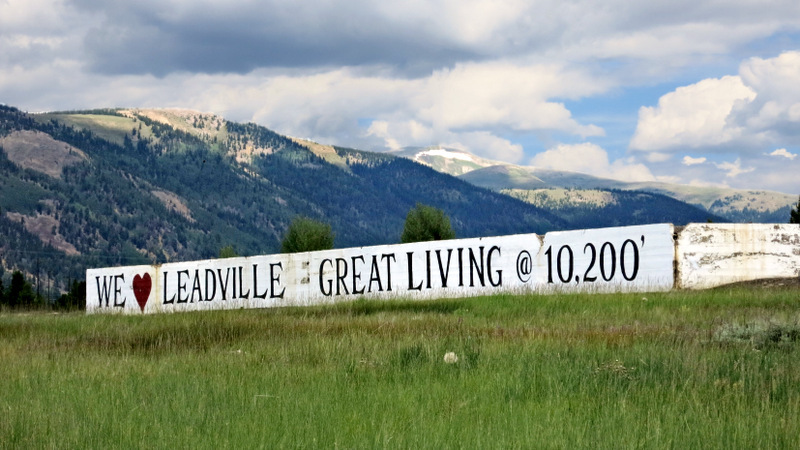 We leave town happy with our stay, and glad that we made a return visit to Leadville. I love a mtb trail that doesn’t have you hiking half the time! I also feel your pain on all that uphill on the paved trail! For some reason hills just kill me on the bike and at that elevation it’s particularly brutal! Glad you finally got some sun, especially on a day you could make good use of it! I hate those trails where I have to get off my bike over and over again. It’s so frustrating! The elevation definitely made that long uphill much more challenging. I don’t care how acclimated you are, six miles uphill over 10,000 feet is hard! The trail next to Turquoise Lake looks like a really fun ride. It was a really pretty trail. We walked it last year, and it was fun to go back with our bikes this time. Glad the weather turned in your favor. Me and long hills on my bike are not usually a good combination and at that altitude, wow! I am anxious to see how the altitude will affect me when we get to CO in September. Love the big skies and Turquoise Lake. After a week of rain it was really nice to have the sun out two days in row. Those long hills were very challenging, but what a sense of accomplishment when we reached the top!